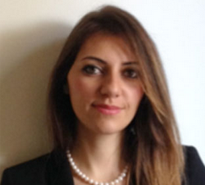 ROSSELLA SIGHINOLFI holds a MSc in Business Management and a Degree in Economics, Administration and Management from Bocconi University. She has already developed a specific professional experience in the institutional relation and policy analysis areas, as well as a deep knowledge of the EU Institutions and policies. Rossella started her professional career as intern at the Ministry for Public Administration and Innovation in Rome, hereinafter she completed internships in Brussels at the Permanent Representation of Italy to the European Union and at the Delegation of Confindustria to the EU. Her fields of interest are: economics and regulation of energy markets and financial markets.